The good news is that the referendum passed which gave the district the funds to do necessary remodeling and some new construction. However, where and how would the administrators of this middle school get the extra classrooms they would need while remodeling was going on for an entire semester? The answer is to use portable accordion walls by Screenflex. As shown on this plan, ten large separate classrooms were created in an open area. Each room is well over 500 sq. ft. in size, ample room for 26 students and one teacher. Each room was equipped with two market boards which hang over the top of two different accordion walls in each new classroom. Once the construction project is complete, some of the portable dividers will remain at Bebee School, while others will be moved to other schools within the district. 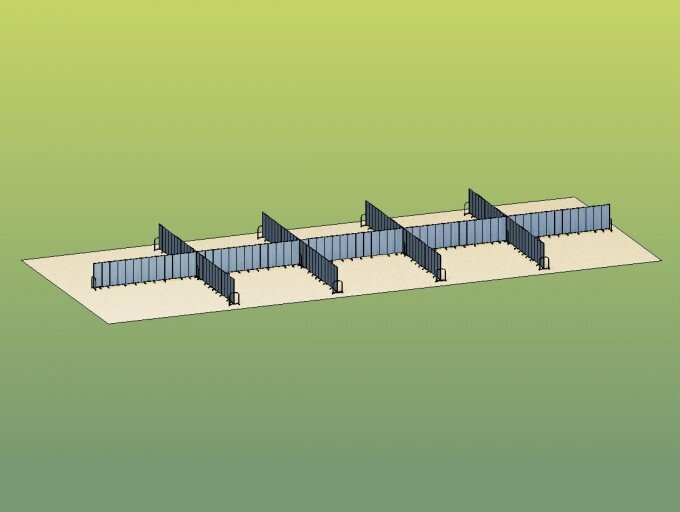 At those schools, they will be used to help better manage those facilities for before/after school programs, ESL classes, art shows, science fairs, and for other programs where portable accordion walls can be helpful.